No vases, No batteries,No laterns included! The tittle doesn’t means ten pieces commodities. This item is just one piece, it has 10 led light bulb in one item. This is made by KITOSUN ,Not ACOLYTE, not Submersible Sumix 9 Multi Color, Remote Control Capable !!! 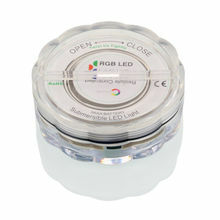 Waterproof Design, No matter you use it asa under vase light… it is suitable for them. Special Design , We designed our lights to be a Centerpiece light, So there must come a light in the center, to make the center more brighter. 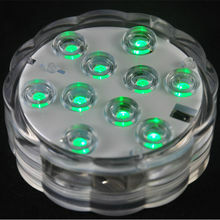 Special Stobe Function , You can choose 7 Colors as the Stobe one… Not just White, but also Red-Green-Blue-Amber-Teal-Pink. More fun than others. 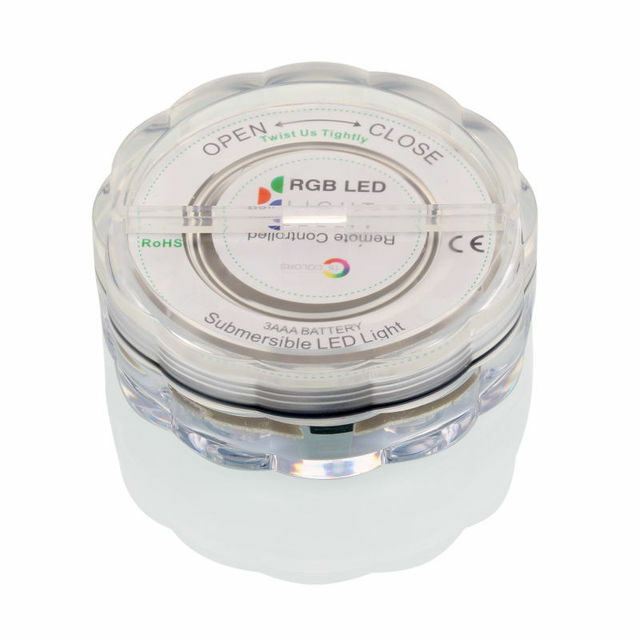 Power Source: 3AAA batteries for the light base , one CR2032 battery for the remote controller… but not included. 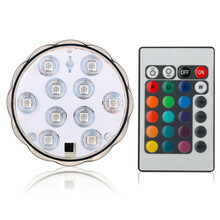 It is easy to set 16 different colors when you use our IR Remote Controller. 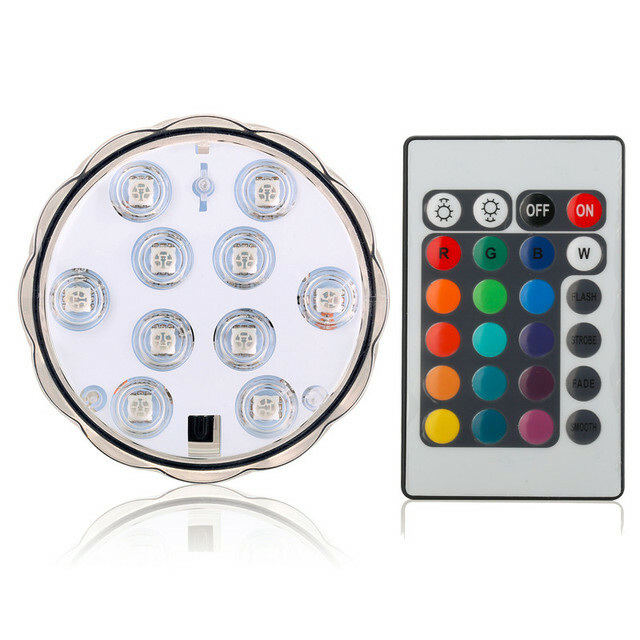 And there are 4 color changing programs to make your decoration much more funny… It will help you to creat a special , unforgetable celebrations… How to active the lights? 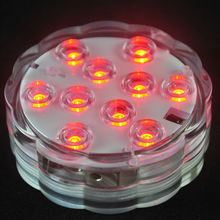 When you put the 3AAA batteries properly , the light will light up at once, and the default program is Red-Green-Blue Changing One Remote controller can control all the lights around it . 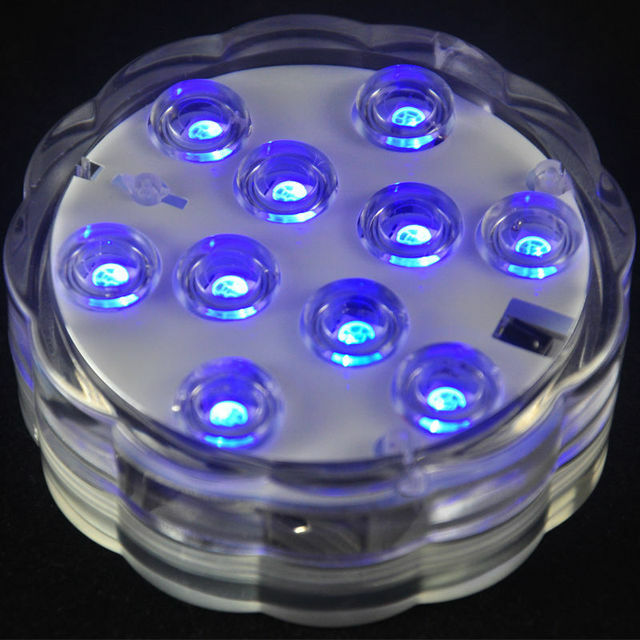 RGB Color is with 24keys remote controller, White or Warm White Color is with a on/off Remote Controllers. 3AAA batteries not included, But The Cell battery come with the Remote Controller!